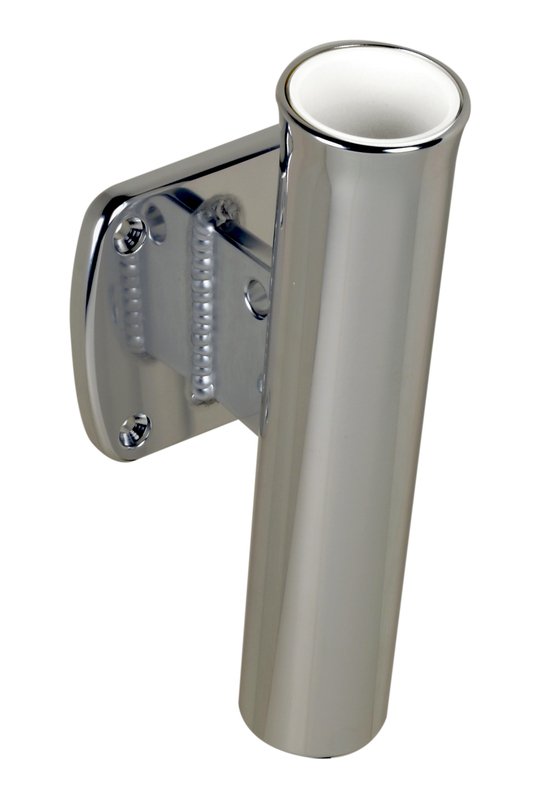 The perfect way to add rod holders to the transom area or seating station. Designed with outboard engine wells in mind. These rod holders feature a super strong 3/8” thick blade, rugged welded 1/3” tall gimbal bar, and a 1-5/8” inside diameter with a flared opening to make it easy to insert a rod in the holder. The taper liner and the addition of a rod security hole in the blade ensures that your valuable rods are protected. Mount vertically or with some outward angle for a wider fishing spread. Tube leans 5 degrees away from the 3" tall x 2-3/4" wide mounting base.